Japan needed to sell goods abroad in order to buy food and to buy raw materials for manufacturing. Between 1929 and 1931, decline in sales to the United States brought decline to Japan's silk industry and rice growing. Japan's rice farmers and much of the nation suffered. The depression was deep in Japan. Children were begging in the streets. Distress in the countryside was moving people into sympathy with chauvinistic nationalists – patriotic societies – and many sought relief in Japan's nationalist religion: Shintoism. Disappointed farmers blamed big-city capitalism and favored government control over the economy. Rural people – 70 percent of the population tilling an average of 1.5 acres – tended to look with disdain upon the ways of city people and the popularity of democracy. They agreed with the call from patriotic societies for "national reconstruction," military strength and reverence for authority. They were inclined to favor benefits for Japan at the expense of international accommodations. Most of Japan's young military officers and enlisted men came from rural areas. They too were displeased by conditions in rural Japan. They also tended to dislike businessmen from the cities – a rival elite whom they saw as self-indulgent rather than as servants of the nation and the emperor. And they too tended to dislike foreigners, especially Westerners. Some among them dreamed of Japan creating a new order for all of Asia – an Asia free of Western influences, an Asia for Asians. The rightists held a traditional view of their emperor, Hirohito. They believed he was a deity, while they had a different vision from Hirohito about what to do for Japan. 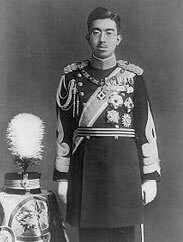 Emperor Hirohito – who had ascended the throne in 1926 at the age of twenty-five – favored peace and cooperation with foreign powers. Supporting the emperor in this was the political party in power, the Democratic (Minseito) Party. The prime minister, Osachi Hamaguchi, wanted to limit government spending for the military. In January 1930, representatives of his government met in London and agreed with Britain and the United States on new limitations in naval construction. Emperor Hirohito supported the agreements, while newspapers were divided and the navy high command grumbled and mentioned that it had a constitutional right to veto the plan. A Rightist who was angry about the London agreements shot and severely wounded the prime minister. The prime minister was dead by the end of the year. Succeeding him was Reijiro Wakatsuki, also of the Democratic Party. He feared more violence from the Right, and he chose to appease the rightists and ignore their lawlessness. Japan was facing increased defiance in Korea, but Japan's foremost foreign policy concern was a threat by the Chinese against Japan's position in southern Manchuria. Back in the summer of 1927, during Chiang Kai-shek's visit to Japan, Japan's government had reached an understanding with Chiang. Chiang had recognized Japan's "rights and interests" in Manchuria, and Japan in turn had recognized Chiang's Guomindang regime as the authority in China – with the proviso that the Guomindang disassociate itself from the Communists, which Chiang had done that spring. In 1931, however, in Manchuria the Chinese were annoying the Japanese by building rail lines parallel to Japanese rail lines. The Japanese saw this as competition. Manchuria was populated by Chinese as well as Manchu and Mongol peoples. The Japanese feared nationalism among the Chinese there, and among Japan's militarists and strategic thinkers was the belief that the Chinese responded only to threats or actual force.